The end of a person’s life can be a difficult and confusing time. However, it doesn’t have to be. A recent article discusses four actions that every person should complete as they prepare for the next life. By completing these four actions, an individual can get the most out of his or her final days. Estate Planning: Estate planning is a process. Every person should execute his or her first estate plan upon becoming an adult. Importantly, however, a person should not neglect his or her estate plan. It is good practice for individuals to update their estate plans every three to five years, as well as after an important family event such as a birth, death, or marriage. Making Decisions for End of Life Care: The method through which a person wishes to leave this world is a highly personal decision. Unfortunately, many people don’t realize that they can take control over how they spend their final days. This control is gained through a living will and medical power of attorney. Bury the Hatchet: It is impossible to know when the end will be. While some people may have the time and notice necessary to atone and make amends with the individuals they have hurt or from whom they have otherwise become estranged, others will pass on suddenly without any warning. It is therefore important to take care to not carry old grudges or remain estranged from former friends or family members. 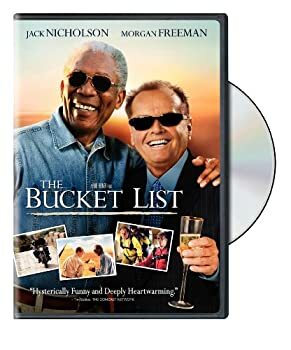 Bucket List: The idea of a bucket list has been gaining in popularity since the 2007 movie of the same name. A bucket list is a list of things that an individual or couple would like to do before “kicking the bucket.” If you have any such desires, consider documenting them as the first step toward making them happen.